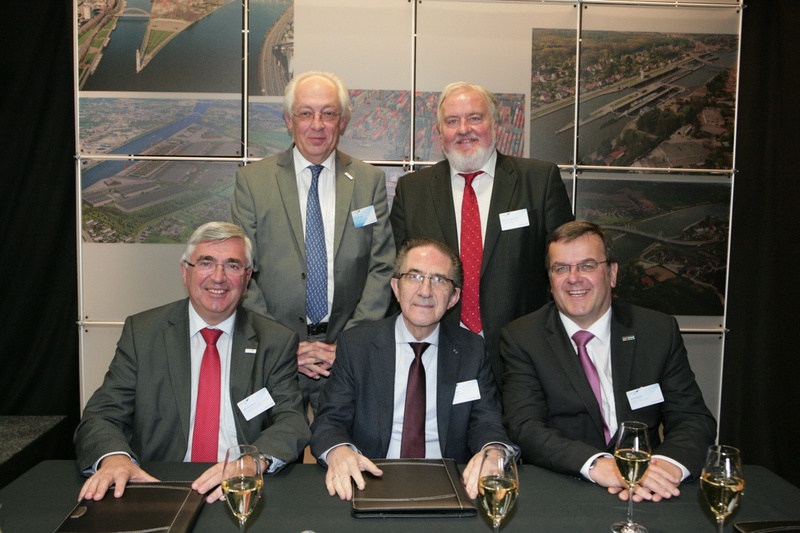 On 31 March 2014, Antwerp Port Authority has signed a collaboration agreement with the waterway operator De Scheepvaart NV and Port Autonome de Liège to develop the importance of the Albert canal as a vital economic artery linking Antwerp and Liège. Antwerp Port Authority has signed a collaboration agreement with the waterway operator De Scheepvaart NV and Port Autonome de Liège to develop the importance of the Albert canal as a vital economic artery linking Antwerp and Liège. The agreement was signed during a symposium on 31 March to mark the 75th anniversary of the Albert canal. The event highlighted the economic and social role of the Albert canal in the past, present and future. With this agreement the three parties undertake to carry out a number of practical initiatives for developing the Albert canal as a major logistics lifeline. In the first instance the parties have committed themselves to ensuring appropriate and efficient barge transport infrastructure and to exchanging information and know-how on logistics flows. Further, the parties will support the promotion of container terminals along the canal to serve as jumping-off points for truck drivers, shippers and forwarders in Germany and the immediate hinterland. Finally, under the terms of this agreement the parties will strive to improve the reliability and transparency of barge transport on the Albert canal. The progress of the planned initiatives will be monitored at periodic consultations between the parties. Various current and future infrastructure projects will increase the capacity of the Albert canal. For instance De Scheepvaart will raise the height of all 62 bridges over the canal so as to offer the agreed European clearance of 9.10 meters by 2020. This will enable barges to carry containers stacked four-high instead of three-high as at present. To cope with the expected increase in freight volume, the possibilities for expanding the capacity of the Wijnegem lock complex are being studied, with the aim of guaranteeing a smooth throughput. Improvements such as these will make barge transport on the Albert canal not only more efficient and cost-effective but above all faster, thus helping to take even more trucks off the congested motorways.